One of the most important parts of a good, hard workout is your music. Whether you’re at the gym or outside enjoying fresh air with a morning jog, having your favorite and most inspiring music can make a real difference in your overall success. Hard work pays off – we all know that. But hard work doesn’t come easily, especially while working out. 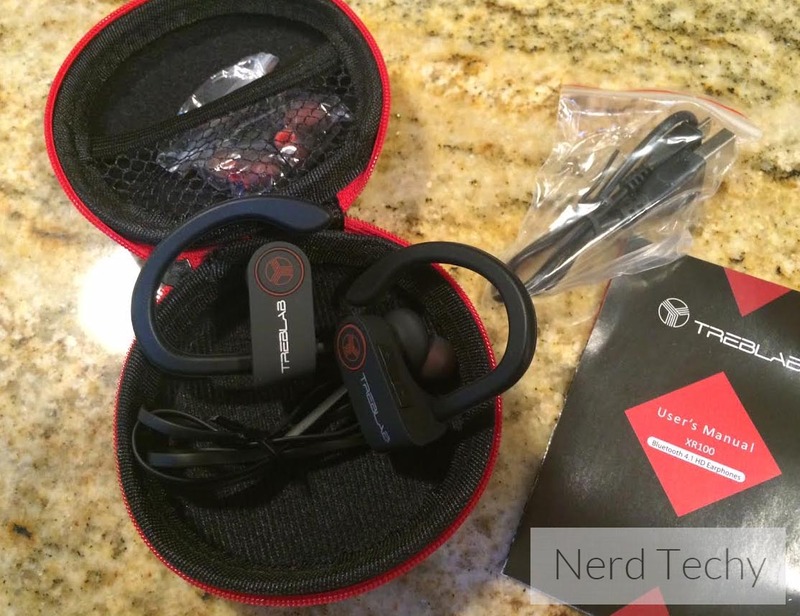 Investing in a pair of wireless earbud headphones that provide you with constant enjoyment can motivate you to push harder, train more regularly, and ultimately achieve your fitness goals with more ease. 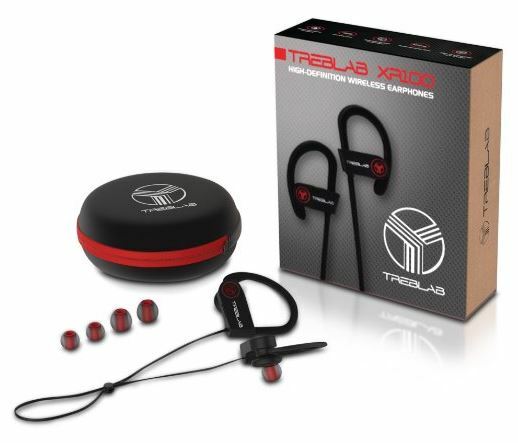 When searching high and low for the right pair of headphones, you may have come across the Treblab XR100 Bluetooth Earbuds. We did, and we were presented with a great opportunity to try them out for ourselves to see what we thought about them. In a few short words, we absolutely love them – but let us go more into the details and why we love them so much. Thanks to Bluetooth 4.1, the Treblab XR100 HD Wireless Earbuds are something you can enjoy without the constant issues you face with your typical wired headphones. We’ve all been there, you’re left with a tangled mess since the cable is usually too long or too prone to becoming a messy cluster. Wireless headphones that use Bluetooth give you the best of both world’s since they sound excellent, and don’t have any wires except for the one between the two earbuds. As for the wireless range, you can expect around 38 feet before you run into any connection issues where you’ll need to move a bit closer to the connected device. Using the latest aptX compression, they seem to deliver some of the nicest clarity with all of the clear tones and audible ranges that you need to keep your tunes true to the beat. 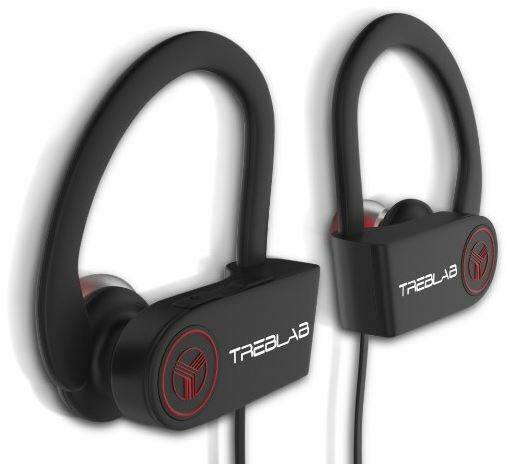 Treblab gives their earbuds true high definition sound when it works in conjunction with the CVC 6.0 noise cancellation technology. The sound is purely amazing with all kinds of music, too. Rap, hip-hop, rock, country, and even dance music all sounded pure, sharp, and on-key at all times. We never experienced any issues with distortion or missed-sounds, with performance similar to Beats by Dr. Dre headphones that can cost three times as much. Internally they’re equipped with a rechargeable battery that holds up to 9 hours of music listening on a single charge. Energy efficiency is a huge importance to us, so it’s nice to see that the XR100’s provide phenomenal longevity and are easily charged with the included micro USB cable. In about two hours you can fully charge the battery. Best of all, most smartphones and other devices can display the remaining battery level that the headphones have. Arguably one of the most important factors for determining a new set of earbuds is the comfort and fit that they provide. Designed with generously sized ear-loops that securely fasten around your ears, they seem to fit well on all individuals. Rather than simply resting inside of your ear canal on it’s own, these ear hooks offer the stability you need to keep them in during rough or rigorous activities like mountain biking, running, boxing, or martial arts. Whatever your sport is, having your headphones stay securely attached while you’re actively listening is a huge need. As far as comfort goes – as long as you achieve a proper fit with the included ear tips (small, medium, large), you’ll likely have no complaints. We wore them for three different workouts and didn’t experience any pressure points or discomfort. Additionally, we were pleased to find that they repelled sweat and moisture effectively. Not once did we need to take them off and wipe them down – the sweat seemed to bead off and resist the rubber material well. With the buttons that are located on the outside-top location of the right earbud, you’re given easy access to control your music with a few clicks. Skip tracks, play, pause, and adjust the volume without touching your device – all of these functions and more can be performed with these few conveniently located buttons. With the integrated microphone, you’re given the freedom to speak a variety of voice prompts and control your phone calls with ease. They pickup a clear voice and allow you to have hands-free calls. During an intense workout you’ve probably had that time where you have an important incoming call. Rather than stopping absolutely everything that you’re doing and taking the call, you can accept it and carry on a conversation without your hands. 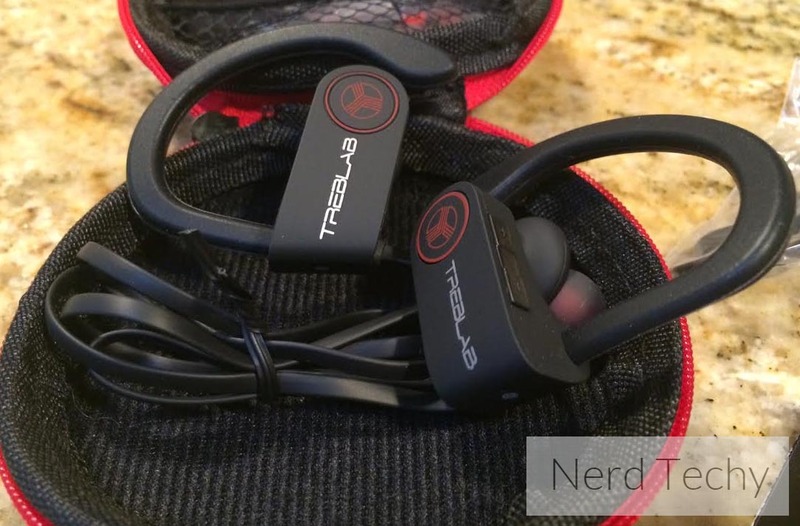 To sum it up, we simply love the Treblab XR100 Bluetooth Earbuds. The sound is phenomenal and the bass is deep and rich. We’ve experienced the same quality and clarity in earbuds that cost two or three times as much – needless to say, these are definitely a recommended deal in our opinion. Best of all, they’re protected by a 12 month warranty from the date of purchase, so you have assurance that you’ll get plenty of use out of them without any risk. Additionally, Treblab includes a zippered carrying pouch that’s amply padded for on-the-go protection when you might need it most. Charging time is fast, and the internal battery is super-efficient in order to last for upwards of 9 hours before they need to be plugged in again. Plus, you can pair two devices at once, for dual music sources and larger playlists. True wireless HD sound at a bargain – there’s nothing we could find about the XR100 that was a negative aspect. We’ve had nothing but a great experience with them and will continue to recommend them to our all of our readers who lead an active lifestyle. We’ll be sure to add an update if we feel the need to in the future. 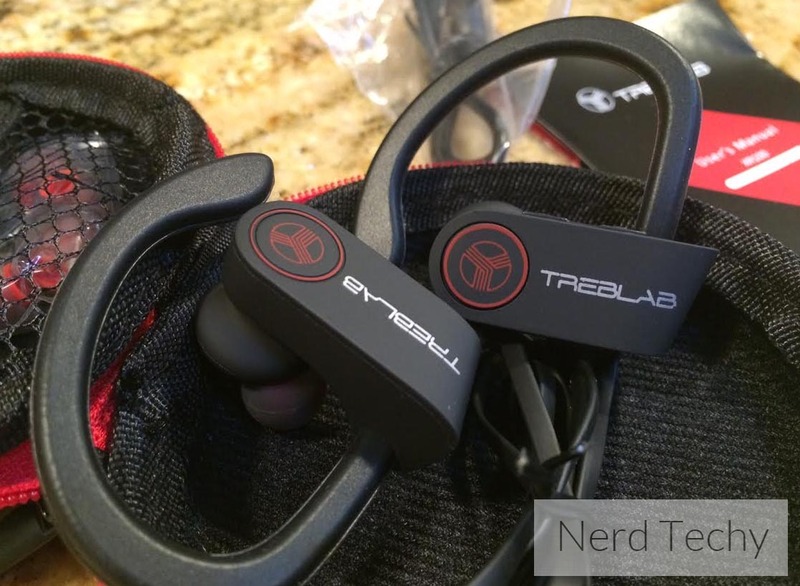 Overall, a definite winner – we love the Treblab XR100 Earbuds! 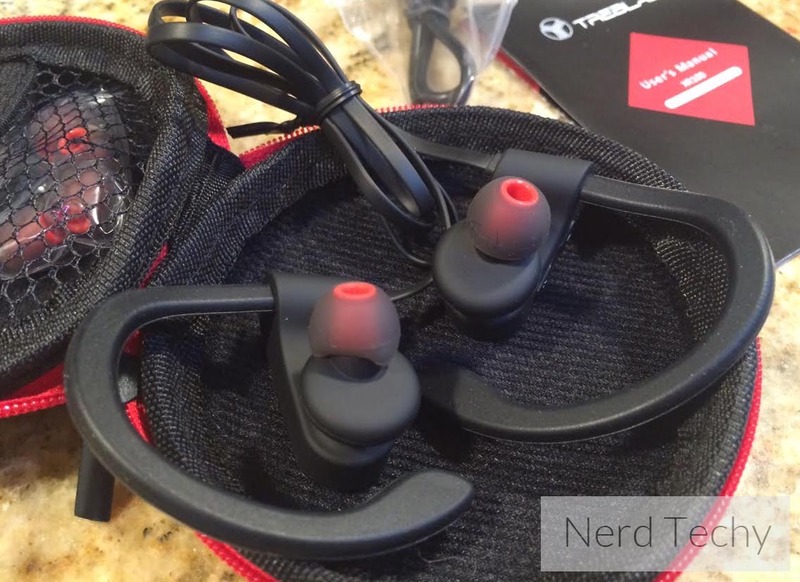 Treblab XR100 are the best earbuds I ever had.. I can’t get my headphones to operat on voice control. Maybe there is special wording needed I am not aware of. If you can help me please contact me. How do you use the headphones to make voice control phone calls?